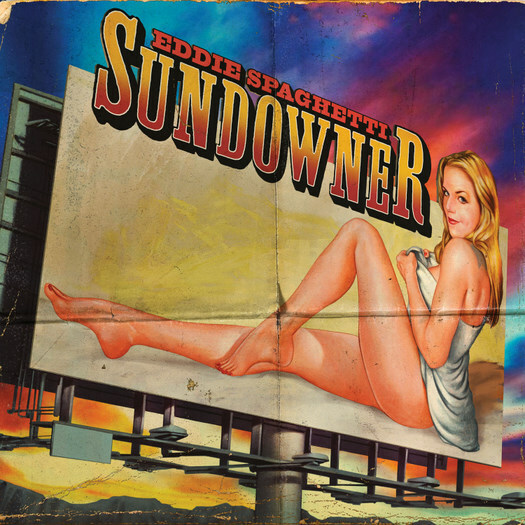 The sometimes rocking, sometimes countrified front man of the legendary Pacific Northwest band The Supersuckers, one Eddie Spaghetti, is ready to go with a new album release through Bloodshot Records called Sundowner on Feb. 15th. 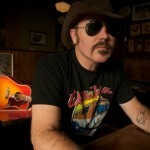 As one of the first bands to mix 80’s-style punk rock with country on their 1997 release Must’ve Been High, and collaborations with people like Steve Earle, The Supersuckers and Eddie Spaghetti live in a unique world where they have skins on the wall and respect from both the country and punk world. Word is Eddie’s son Quattro also appears on the album. LISTEN TO “NEVER THOUGHT I WOULD” from the album! Sundowner can be pre-ordered on CD, and will also be available on vinyl. Watch for a Saving Country Music review closer to the release date! Nice. I’m a huge Supersuckers fan. Can’t wait to get my hands on this. As I just posted in the forums, CW Ayon has a new album out and it just went up on CDBaby.com today. Get some! (or at least some samples). This is good news. The Sauce and Old No 2 play quite frequently in my house. Im looking forward to this.. He played an acoustic set in Detroit and few months back and Im still pissed I missed it..
Is “Always on My Mind” the Brenda Lee song? Yeah, I know Elvis and Willie also recorded it, but Brenda done it first. yes it is adam. its a good record, and we may do some dates together. Huge fan.. Cannot wait till this comes out ! Anything with anything to do with Del Reeves is a winner! Nice! Thanks for the push! Sweet! Have to pick this up in Feb.